At Projector Square, we take our reputation very seriously which is why for us our customers are our topmost priority above everything else. This is why our online site has a plethora of original products including the renowned brand Epson only for our customers in and around Dubai, Abu Dhabi, UAE, Kuwait, Jeddah, Riyadh, Saudi Arabia, Muscat, Oman, Doha, and Qatar. 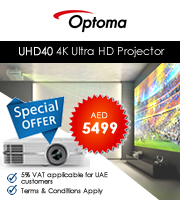 If you are planning to buy projectors online, buy products only from Epson, available at our online site. Epson projectors are an epitome of class and efficiency grouped together. Catch the attention of your customers/ clients with your attractive work. Epson also has a huge fan base in the Middle East countries and areas like Dubai, Abu Dhabi, UAE, Kuwait, Jeddah, Riyadh, Saudi Arabia, Muscat, Oman, Doha, and Qatar only because of its innovative yet simple technology. 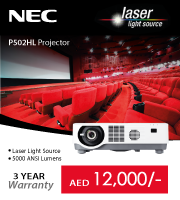 Buy these projectors online will save you a lot of money and it is just too good an opportunity to miss. To clear any queries or doubts, write to us at info@projectorsquare.com.